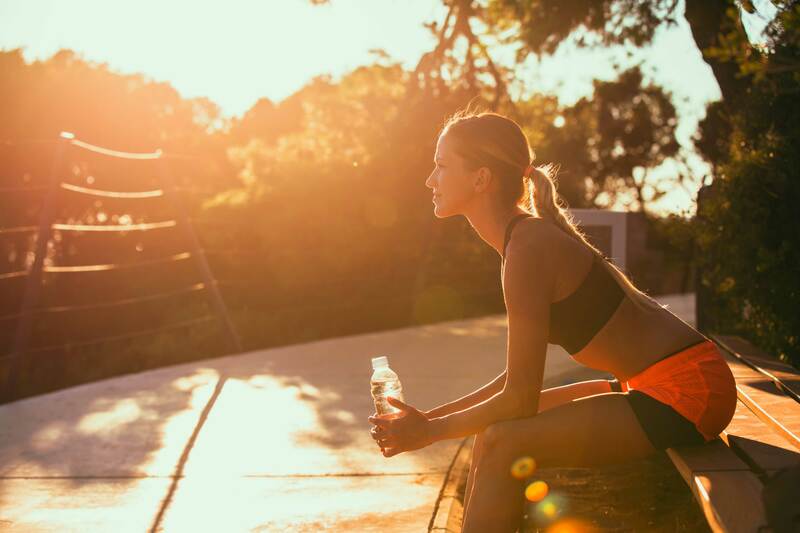 Shape up during those warmer days with this healthy summer fitness guide from Gold’s Gym experts. Summer is a time for fun and relaxation. It’s also an opportunity to get in shape or maintain the healthy lifestyle you committed to earlier in the year. 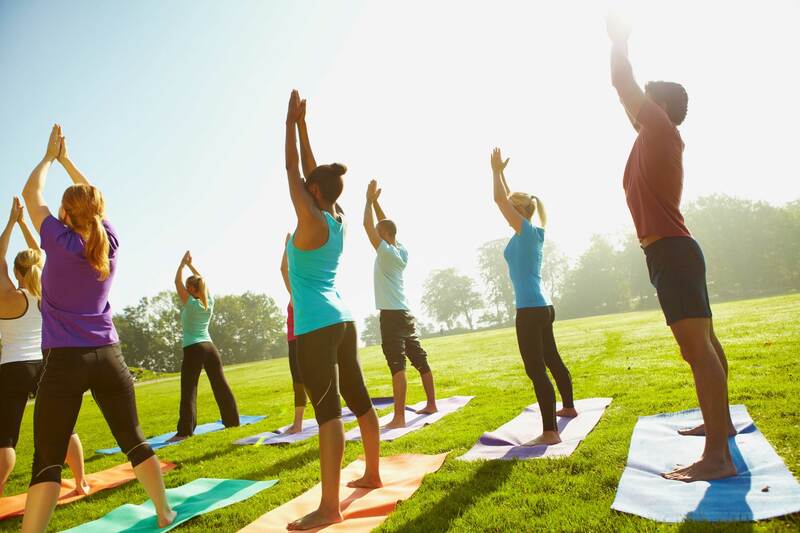 Here are some tips from Gold’s Gym experts to help make summer your healthiest season yet. For extra flavor, add fresh herbs, which are also in season, to recipes. Give Minted Watermelon Salad and Sautéed Corn with Coconut Milk, Chili and Basil a try. Go ahead: Enjoy those weekend cookouts and flag down the ice cream truck. Just remember to control your portion size. 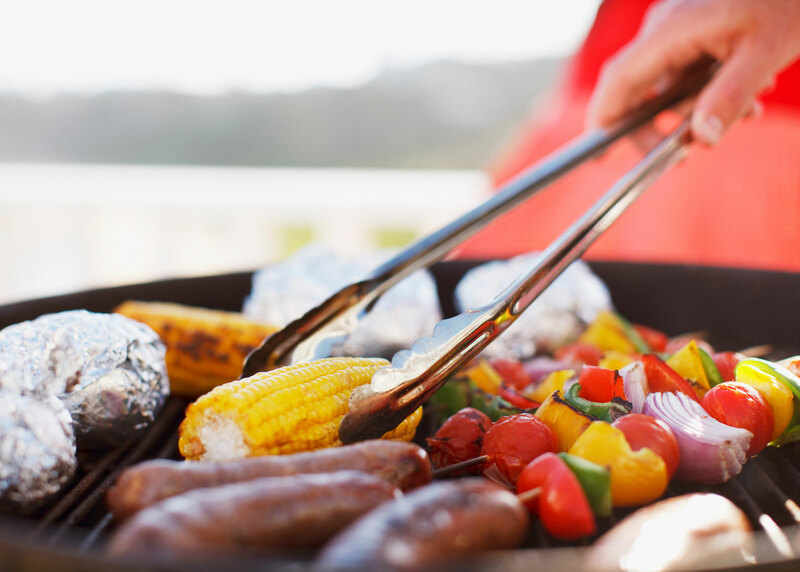 At a picnic or cookout, fill half your plate with fruits and veggies before getting barbecue or potato salad, and choose a small popsicle over a multi-scoop ice cream cone. Music helps motivate your exercise efforts, so turn up the volume and get moving! Need help? Download GOLD’S AMPTM to find some beats that will help set your workout pace. Soldier walk: Standing upright, do a front kick to waist-high, bringing one leg up straight without bending the knee and simultaneously extending the opposite hand to try to touch the toe without hunching. Then switch, using the opposite hand and foot. Take a step forward with each alternating kick. Inch worms: From a standing position, bend over as if you’re going to touch your toes but place your hands flat on the ground in front of you. (Depending on your flexibility, you may need to slightly bend your knees or place your hands a few inches away from your feet.) Slowly walk your hands forward until your body is in a plank position, and then slowly walk your feet forward to meet your hands, returning to the bent position. Repeat. Bear crawls: Begin on your hands and knees, and then lift your knees off the ground and crawl forward, moving with one hand and the opposite foot and then switching to the opposite hand and corresponding foot, without letting your knees touch the ground. During your strides, your shins should be parallel to the ground. Select a location — your living room, the backyard or the open floor at the gym — and do each of these moves the length of that space, or about 10 to 15 reps. Add to the distance as you are able. “You become more athletic by doing movements that the body is not accustomed to,” Johnson says. Happy hour is fun but not always healthy. Make your hangouts active instead. Try different fitness classes, go on long walks to see those summer sunsets or ride bikes to your favorite restaurant and enjoy a tasty brunch on the patio, knowing you burned calories in advance. Remember, heat can also be dangerous if you’re not paying attention to your body. If you feel dizzy, faint or nauseous, find a cool, shady place to rest and rehydrate.